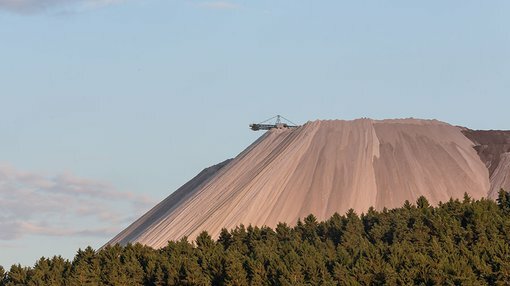 Davenport Resources (ASX:DAV) has engaged a high-profile mineral industry consultancy Micon International to conduct a review of historic exploration data from the Ebeleben and Muhlhausen-Nohra potash mining licenses in Germany. DAV’s prime objective is to establish an initial JORC Resource estimate on land contained within its mining licenses in the South Harz Basin. Having acquired the licenses from the German agency, ‘Bodenverwertungs-und-verwaltungs’ (BVVG) in October last year. As part of the acquisition, DAV acquired existing historical data which was sufficient to declare a conceptual Resource (in accordance with Russian standards in the German Democratic Republic (GDR) after World War II). DAV announced a Resource of 356 million tonnes at 16.1% potassium oxide (K2O) for 57.4 million tonnes of contained K2O. According to DAV’s estimates, this equates to an equivalent 91 million tonnes of potassium chloride (KCI). On its other mining license (Muhlhausen-Nohra), DAV has declared a historic resource consisting of two different types of mineralisation. In the Hatsalz category (a mixed salt that includes sulphates), DAV has declared 234 million tonnes at 14.4% potassium oxide for 33.8 million tonnes of contained potassium oxide. This is further supplemented by an additional 5.8 million tonnes of contained potassium oxide, contained in carnalltite, an alternative type of mineralisation to Hatsalz. Given the lack of in-house experience regarding former-USSR mining standards, DAV has turned to Micon International. Micon specialises in converting historical resources obtained in the former USSR, under a GDR system that differs from the commonly-accepted JORC standard used by most developed countries. DAV hopes this expertise can be used to model the original data it acquired and compile a resource estimate compliant with the JORC 2012 Code. Davenport Managing Director Chris Bain said: “The quality of data collected from Ebeleben and Miihlhausen-Nohra over several drilling campaigns dating back to the 1970s gives us confidence that we will soon be able to declare JORC-compliant inferred resources for both projects. Micon is expected to complete its assessment and publish its findings within the next six months, thereby enabling DAV to critically assess its chances of developing an economically-viable potash project in Germany. Potash is a generic term that describes ‘potassium salts’ in broad terms and often used wherever soil potassium levels are inadequate, which helps boost plant health and growth rates. Potash is one of the three primary nutrients needed for healthy plant growth: nitrogen, potassium and phosphorus. Potash is widely used as a constituent of fertilisers and is available in forms such as SOP (sulphate of potash), MOP (muriate of potash), as well as other more exotic variants. Due to its broadscale agricultural application, the demand for potash is highly correlated with production levels. Potash is mainly extracted from underground evaporation, rock formations or even large bodies of water such as the Dead Sea, located between Israel, the West Bank and Jordan.